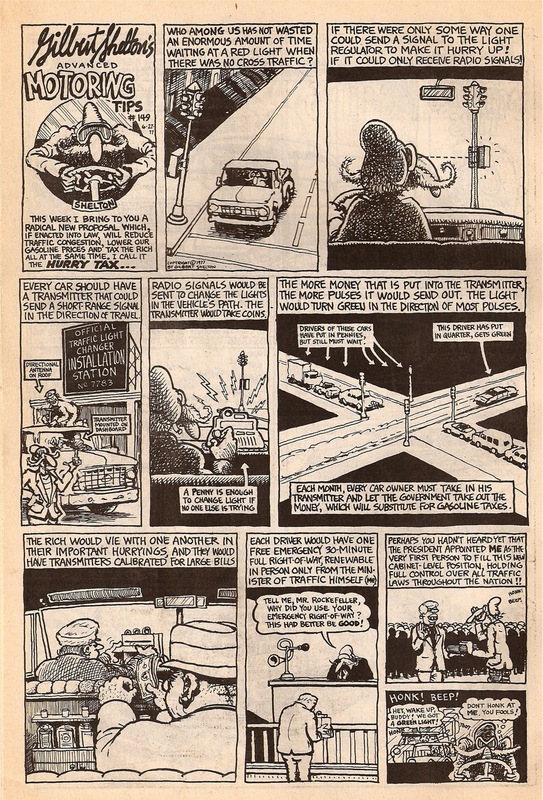 Gilbert Shelton, the creator of the Freak Brother’s comics, created this amazing comic with his idea for a “hurry tax” for drivers that want to change lights green. It’s so brilliant and interesting – we could get rid of the all the debt the country is in overnight! I know it’s not a serious idea in itself, but it is a very cool and interesting idea. 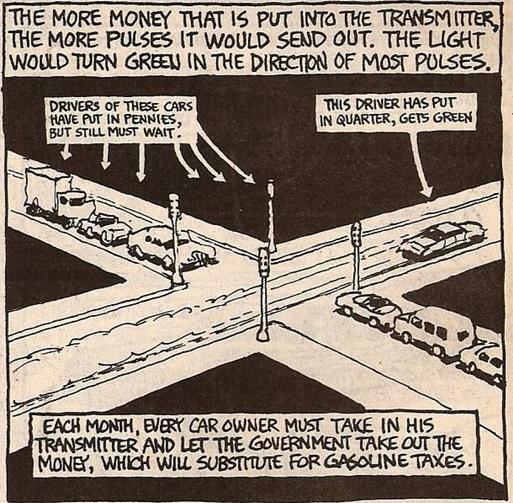 Obviously, with wireless technology and no need for coins and dollars – this technology would be even easier to institute. it tickles something inside me for some reason.